WORTHINGTON FAMILIES BEING TARGETED BY BANKERS? Barren Minneapolis Fed President Comes to Worthington to Learn How to Mitigate Declining Fertility Rates! This letter to the editor below was submitted to the managing editor of the Worthington, MN Globe, on July 16, 2018. (He later acknowledged the receipt of it.) It focuses on the July 12 remarks made in Worthington by Minneapolis Federal Reserve Bank President Neel Kashkari. Updated Note (7/31/2018 am): After two weeks of silence and after publishing Kashkari’s letter in the Globe several days after receiving mine and now a day after this letter starts showing up on FB in Worthington, only now managing editor Ryan McGaughey contacts me and advises that my letter is too long. He could have run his word count function on it the day it arrived and let me know this two weeks ago. I remain thankful for social media. 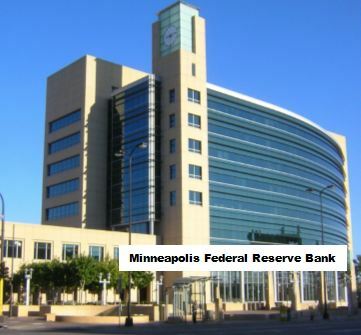 July 12, I attended (on my own behalf) a community meeting at the Worthington Fire Hall to hear a panel discussion led by Neel Kashkari, President of the Federal Reserve Bank of Minneapolis, an official from JBS and Worthington Mayor Kuhle. They were speaking about immigration. He went on to say that the one way to turn this low fertility rate around would be to do like Japan and provide economic incentives to have more children. He pointed out that Japan has a homogeneous culture that doesn’t allow immigration. Kashkari recognized that this is too costly and not working very well for Japan, which is true. He concluded that the only way to grow the economy is to welcome immigration. Having read his resume, I approached Kashkari privately after the meeting and said, “You’ve worked for Pimco (largest bond fund in America) and Goldman Sachs (crippling governments of the world with massive debts). And you ran the TARP bailout of the big banks for Henry Paulson while at the U.S. Treasury and now you are a regional Fed President. Excuse me, sir, but you’re the problem. His reply, “None.” (He’s in his mid 40’s, unmarried and….barren.) I replied, “People like you certainly are the problem!’ I later read that when Kashkari previously ran for Governor of California (2014) that his platform included full support of abortion and homosexual marriage. These are both direct contributions to the plummeting fertility rates in America. Such audacity for a child-less, inflationary central banker (which violates Prov. 20:10) coming to our region to seek economic advice on how to mitigate declining fertility, without recognizing that he himself is a classic picture (personally) and a primary source (professionally) of this very decline. Kashkari is the last guy to look to for any substantive solutions to our massive internal debts and our imploding demographic challenges! And to our Worthington immigrant friends – watch out! These central bankers have ballooned their balance sheets since 2008 and working with the finance industry have buried most of those who were here before you, in debts and taxes. To keep the bubble going (which they must do, or we’ll have another 2008 or worse, a 1930s) they need “fresh meat”. They see you as a ready pool of new debt slaves (Proverbs 22:7). Bankers flooding the real estate market with loans make home prices escalate faster than what normal demand would drive it. This creates more entrenched debt slavery. Eventually such bubbles cannot be sustained and misery for millions will follow. It always does. Manage your family budget well, don’t be suckered by vane and wasteful purchases and watch your debts and taxes. Sacrifice mightily for a few years to cut any mortgage repayment schedule in half and get out from under decades of paying interest. (I.e. Add 45% to each of your monthly payments on a $75,00, 25 year mortgage, at 3% interest and it would be repaid in 10 years less, saving you around $13,000 in interest) . This is much the same advice I gave to local people when I once was part owner of a community-bank holding company and later worked to help bail-out the old Norwest (now Wells Fargo) bank in Worthington. Most didn’t listen. Maybe you can do better.